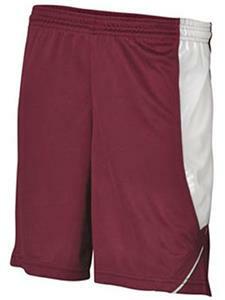 A4 Womens Basketball 8" Power Mesh Shorts - Closeout. - 100% Polyester Moisture Management. - Flat back mesh short. - 100% Polyester white Dazzle contrast panels. - 1 1/2 " waistband with drawcord. great product we used for womans baseball team .. would buy again in a flash !